The Cherry Street Mission is one of the largest homeless shelters in Toledo. Recently, Norm Carlton led Monday Night at Mike’s, our monthly men’s fellowship group, in organizing and serving a full meal for over 200 guests of the mission along with providing entertainment and clean up. Parishoners donated over 40 homemade pies for the event. In addition, the members of St. Michael’s donated a portion of their Easter collection to the Mission. Details of the dinner can be found in an article published by the Toledo Free Press. (Click here to open the story in a new window). Feed Your Neighbor, a local foodbank, receives donations of non-perishable food from St. Michael’s year-round. The Outreach committee has funded additional supplemental staples to ensure a balanced offering to the Feed Your Neighbor clients. FOCUS (Family Outreach Community United Services), supports families emerging from homelessness and poverty. 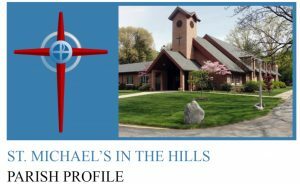 St. Michael’s has an ongoing relationship with FOCUS. Many St. Michael’s volunteers join hands in December to host a Christmas party at the FOCUS downtown headquarters for the current FOCUS clients. The festive event offers free family photographic portraits, food, kid’s craft activities, and free shopping for gently-used clothing and toys. 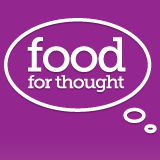 Food for Thought started serving meals to 8 families from a stationary pantry in Oregon, Ohio in 2007 to serving 200 families per month from their pantry and providing over 300 sack lunches per month in the square near the Main Branch of the Toledo Public Library. Their purpose is ” to serve as a gateway between poverty and prosperity. St. Michael’s parishoners have assisted in preparing lunchs on Friday evening and passing them at lunch on Saturday. We have partnered with other churches, a synagogue and a mosque to build new homes through Habitat for Humanity. St. Michael’s parishioners turned out in wonderful numbers to help frame, side, insulate, paint, landscape, and also greet workers and provide refreshments. Each year during Advent we collect Christmas presents for the disadvantaged of Toledo. A Christmas tree decorated with requested gifts stands in the foyer at the main entrance to the church. The Seagate Food Bank, a regional resource, provides non-perishable food to food pantries, soup kitchens and churches in 8 counties in Northwest Ohio. Our parishoners have volunteered to assemble and pack boxes of food that are delivered to seniors in the community. St. Paul’s Community Center provides housing and support for the mentally ill. They provide daily, cafeteria-style meals to clients. St. Michael’s parishioners (about 20 volunteers) have prepared and served a complete, balanced meal at St. Paul’s annually on a summer Sunday. The Outreach committee has also directed Christmas/Easter offering money to St. Paul’s to replace a stove.